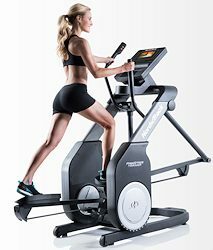 Is the NordicTrack FS9i FreeStride Trainer worth an extra $1,000 over the FS7i model? This was a question I recently was asked by one of our readers. Although NordicTrack offers some of the best values for fitness equipment in the industry, they sometimes will offer an upgraded version of an existing model at a price that does not justify the additional cost. Here, we compare the NordicTrack FS9i FreeStrider and the NordicTrack FS7i FreeStrider.